Consumers have a right to access information about the quality of health care provided in Illinois. This Web site can help you to become a more informed consumer and to make better health care choices. 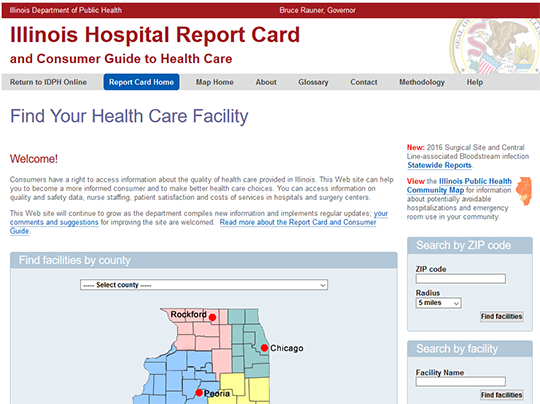 You can access information on quality and safety data, nurse staffing, patient satisfaction and costs of services in hospitals and surgery centers.